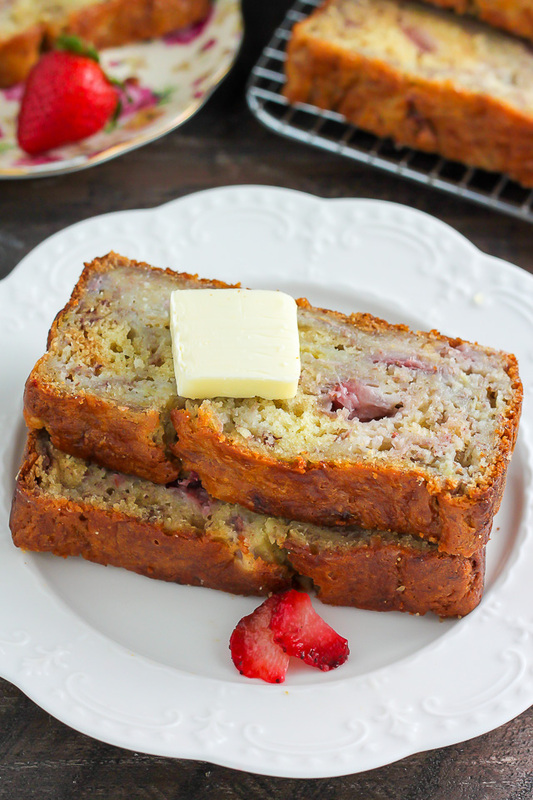 A strawberry twist on classic banana bread, this sweet and fruity loaf is made with healthy Greek yogurt. I will admit I am slightly obsessed with adding Greek yogurt to our baked goods. And our fudge pops. And our pancakes. Funny thing about it is the first time I baked with Greek yogurt I was total wreck. I had run out of sour cream; it was snowing like crazy; and there I was, half way through a cupcake recipe without one of the most essential ingredients. 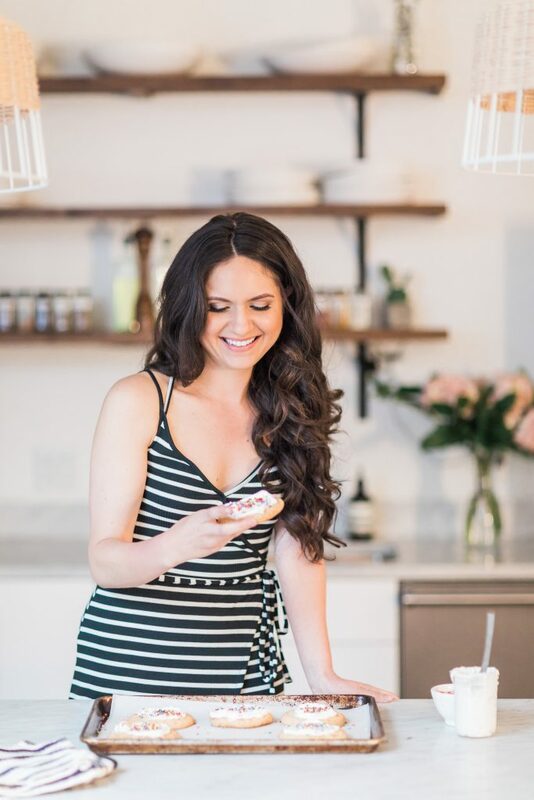 After a quick melt down I pulled myself together and nervously worked with what I had, replacing the phantom sour cream with an equal amount of creamy Greek yogurt, and well… you know what they say; the rest is history. After that day I realized plain Greek yogurt can replace sour cream or milk in most recipes and I’ve been going nuts with it ever since. Today I push us deeper into the Greek yogurt addiction with this phenomenal Strawberry Banana Bread. Juicy sweet plump strawberries are such a luxury. 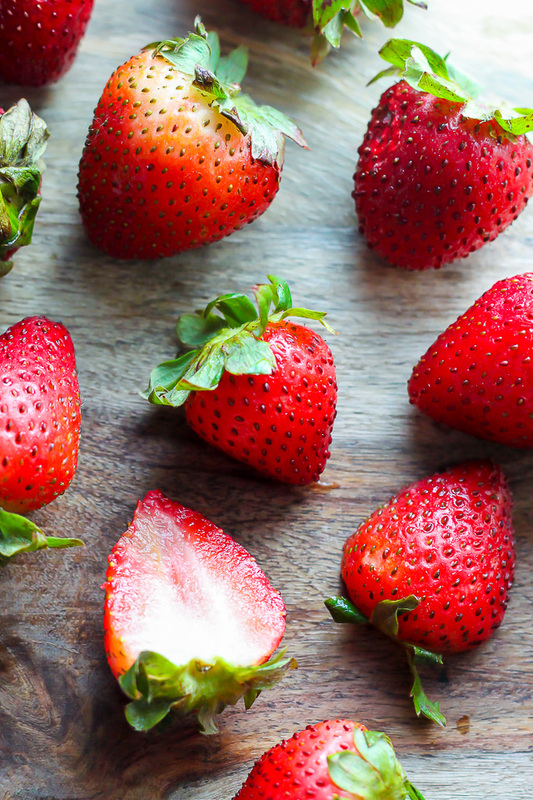 If you can find some fresh ones in your hood I highly recommend using them in this recipe; if you live in a part of the world that doesn’t have fresh strawberries in season right now (or ever…) you can use frozen ones – just be sure NOT to thaw them before adding them to the batter. If you make banana bread often then the next words I type will come as no surprise: your bananas MUST be ripe and mushy. 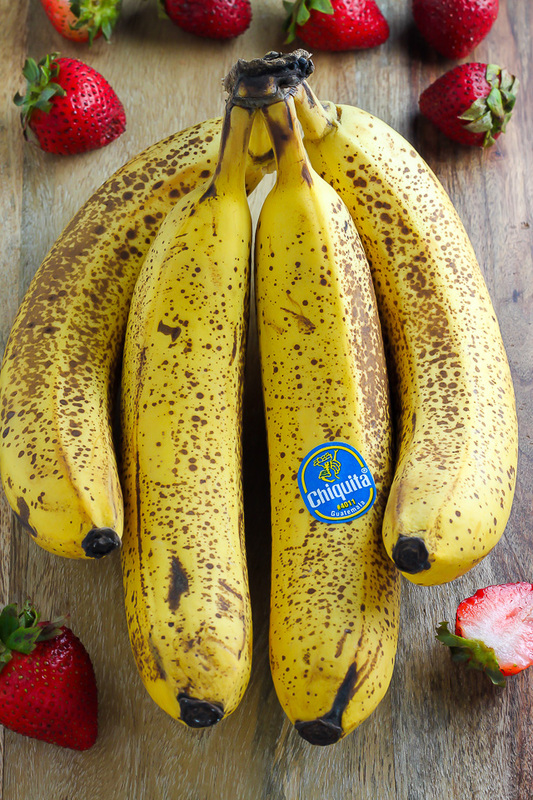 Soft and spotted ugly underdog bananas make winning bread. It’s a fact of life. 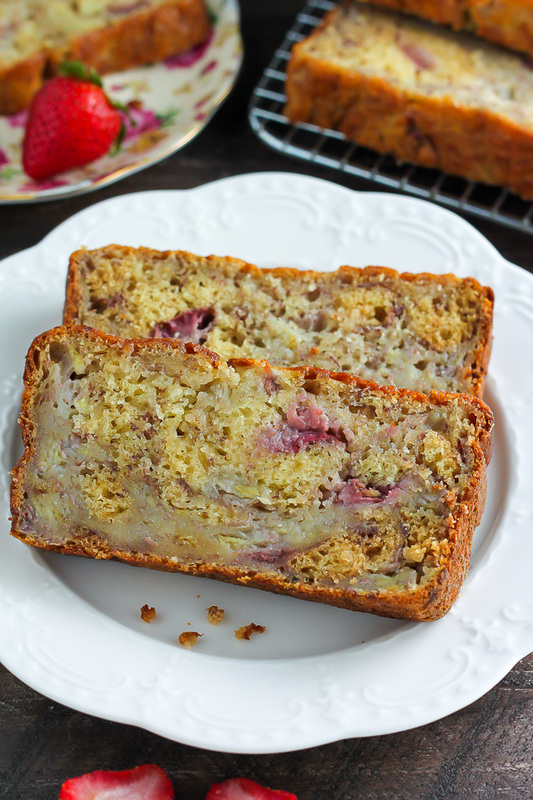 Let’s talk about what you’ll need to whip up this beautiful strawberry banana bread batter. 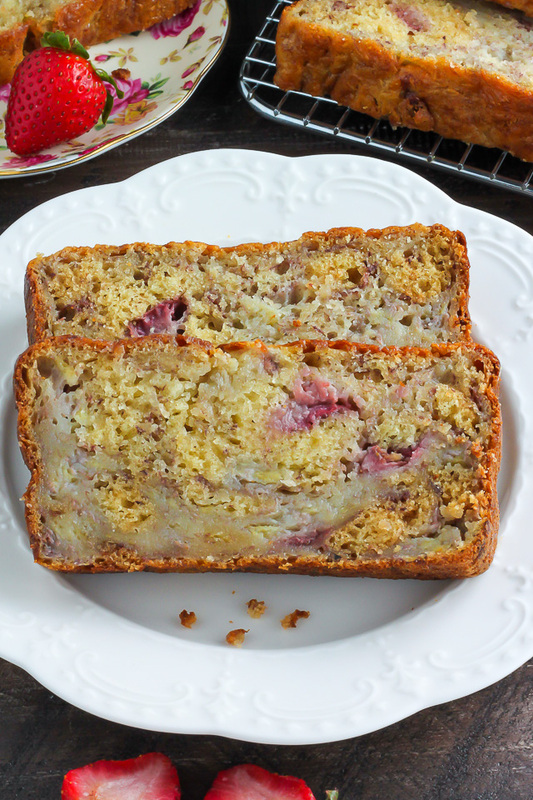 The list of ingredients is short and simple: butter, vanilla, eggs, sugar, salt, baking soda, ripe bananas, strawberries, and Greek yogurt. <— That’s it!!! Tip: Be sure to gently fold the batter together and stop once it’s combined; the biggest mistake you can make while assembling the batter is to over mix it. 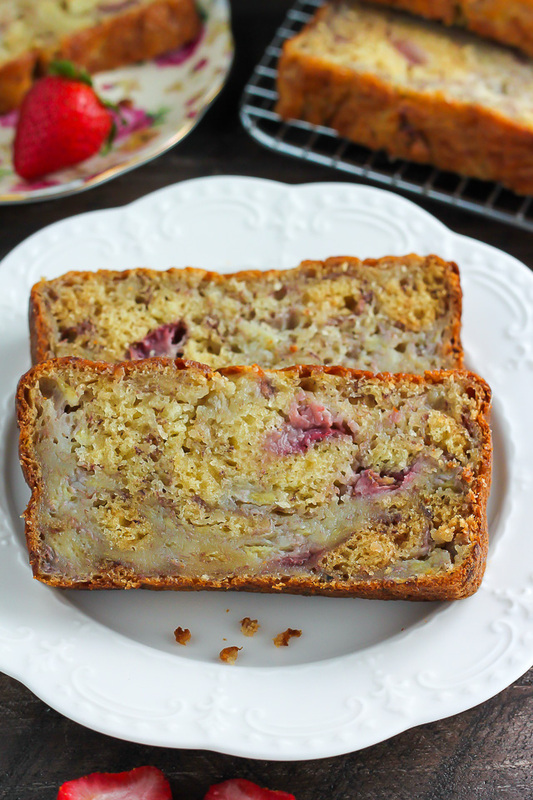 Super moist Strawberry Banana Bread made with Greek Yogurt! Preheat oven to 350 degrees F (175 degrees C). Spray a loaf pan with non-stick cooking spray (or generously butter it the old fashioned way); set aside. In a large bowl combine the melted butter and sugar; beat well. Add the vanilla and eggs; beat until fully combined; set aside. 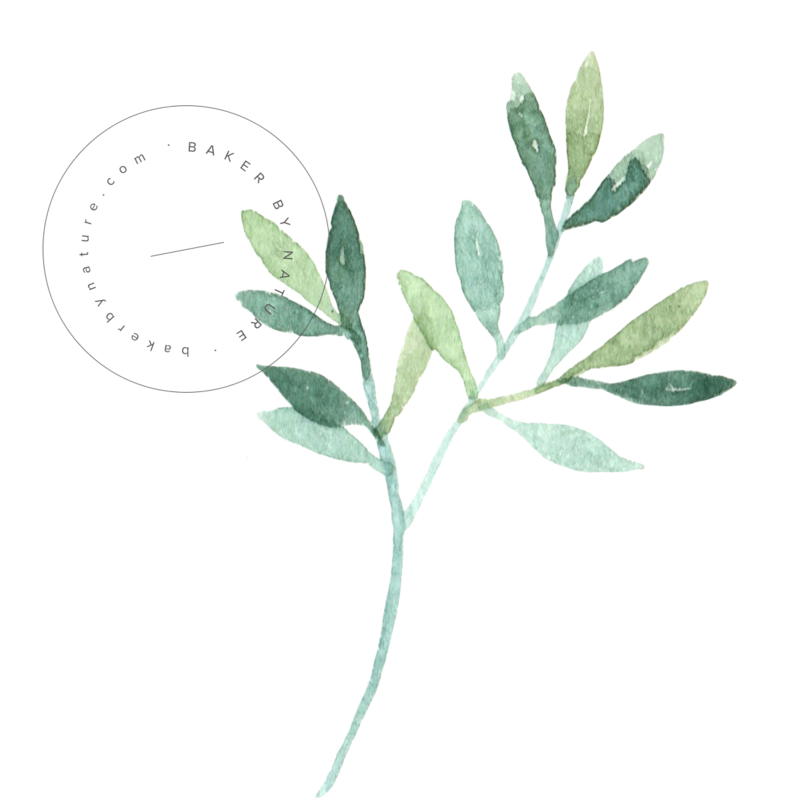 In a separate medium-sized bowl combine the flour, baking soda, and salt; stir well to combine. Add strawberries to dry mixture, stir to coat. Add the flour/strawberry combination to the wet ingredients and mix until half way combined - careful not to over mix here! Fold in the bananas and Greek yogurt; stir smooth. Pour the batter into the prepared loaf pan, smoothing the top with a spatula. Bake for 50-55 minutes, or until the top is golden brown and the center is set - a tooth pick inserted should come out clean, or with just a few crumbs clinging on. 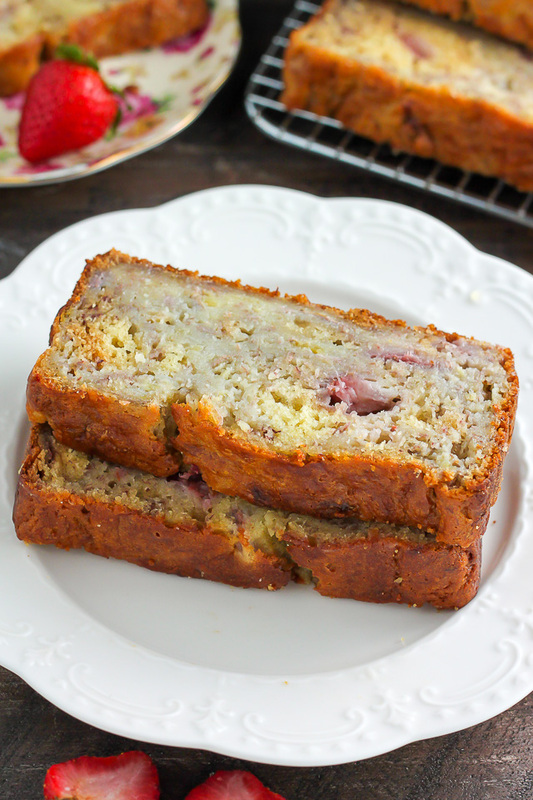 Allow the banana bread to cool for 10 minutes in the pan before transferring it to a cooling rack to cool completely. Once cooled, slice and serve. In the oven as I type this. I didn’t have strawberries so I subbed frozen blueberries. Thanks for the easy recipe – I can’t wait for that first berry-licious bite! Michelle, that sounds positively delishous!